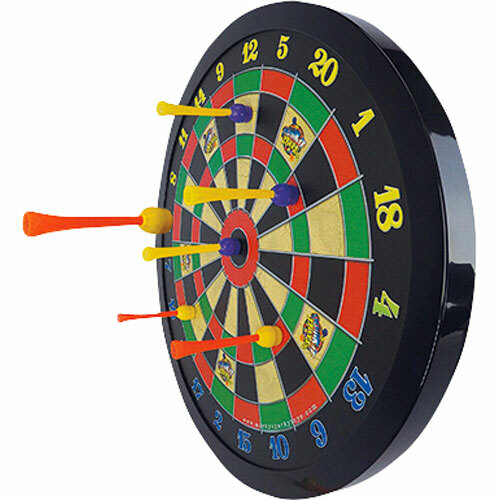 It may look like just a great little magnetic dart game, but oh, there's so much more that makes it a bull's eye! It uses high-quality Neodymium rare earth magnets in the 6 durable, balanced, lightweight darts (3 each of 2 colors), making them fly perfectly true, which is the bottom line in the dart world! Magnetic darts are also safe and flexible. 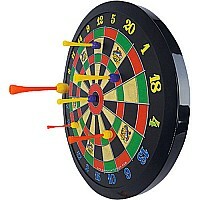 Hone your aiming skills with this 16" board. For ages 6 yrs-adult, from Marky Sparky.